Meter Laminating Pouches are the perfect way to protect your documents whenever a laminate solution is needed. Economically priced and guaranteed quality, ensure that your items receive a premium finish. 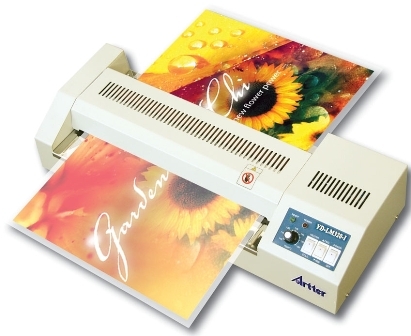 With a large range to choose from our Laminating Pouches are compatible with all Pouch Laminator makes and models. Laminating Pouches are made from two sheets of coated polyester film that are usually joined or sealed together at one end, and are sometimes referred to as laminate sheets. The user’s document or paper is placed between the two joined sheets of Laminating Film and then fed into a Pouch Laminator, with the sealed end being the leading edge. The Laminating Pouch has a glue and eva clarity coating that becomes heat activated as it passes through the Pouch Laminator. The adhesive glue bonds to the substrate, or paper, and to the adjoining sheet of Laminating film around the edges of the document. The Pouch Laminator also has rollers inside the machine that apply pressure to the Laminating Pouches as they pass through, ensuring that all the layers of the film bond to one another. Our Laminating Pouches are great for a wide variety of uses including School Work, Instruction and MSDS sheets, maps, menu’s, place mats, notices, price lists, ID Cards and hundreds of other applications. When laminated, documents become waterproof, grease resistant, tear resistant and will last longer in any workplace. Meter Laminating Pouches come in a large variety of thicknesses and sizes. The thickness of the pouch is usually measured in microns and the Laminating Pouches range from 80 micron – the most widely used – up to 250 micron. The greater the micron or thickness the more rigid your document will become when laminated. Most Pouch Laminators will allow the user to laminate all thicknesses, however some cheaper Pouch Laminator models are only able to use the thinner pouches. Always check the maximum thickness of Laminating Pouches your machine is able to laminate before purchasing. The Meter Range of Laminating Pouches starts at ID size-for laminating ID and business cards- and includes A6, A5, A4, A3 and A2 sizes. As well as clear finish Laminating Pouches we also have a range of Matt pouches, that give your document a frosted or translucent appearance. Meter also has a range of Sticky Back (Adhesive )Laminating Pouches for creating signs and Coloured Back Laminating Pouches for colour coding documents. Please click on the products below for more information on the large range of Meter Laminating Pouches.